After months of campaigning, candidates and residents saw the 2016 election come to a close on Tuesday, Nov. 8. Democrat Lisa Petriello and Republicans Mike Locatell and Victoria Napolitano were elected to town council in the election last week. Petriello received the highest number of votes, 4,840, earning her 17.06 percent of the overall vote. She was filling the one-year unexpired term of Greg Newcomer, and will now serve a full four-year term. Locatell earned 4,814 votes, 16.96 percent, the second most. This will be his first term on council. Napolitano, the current deputy mayor, was re-elected with 4,732 votes, 16.68 percent. Kati Angelini, Mayor Phil Garwood and Amy Leis finished in fourth through sixth place with 4,722, 4,652 and 4,610 votes, respectively. These are unofficial results from the Burlington County Board of Elections and do not include mail-in and provisional ballots, so it is possible the results could change once these ballots are confirmed, since the results were so close. “I wish our new council members the best of luck as they move forward in serving our community,” Leis said. 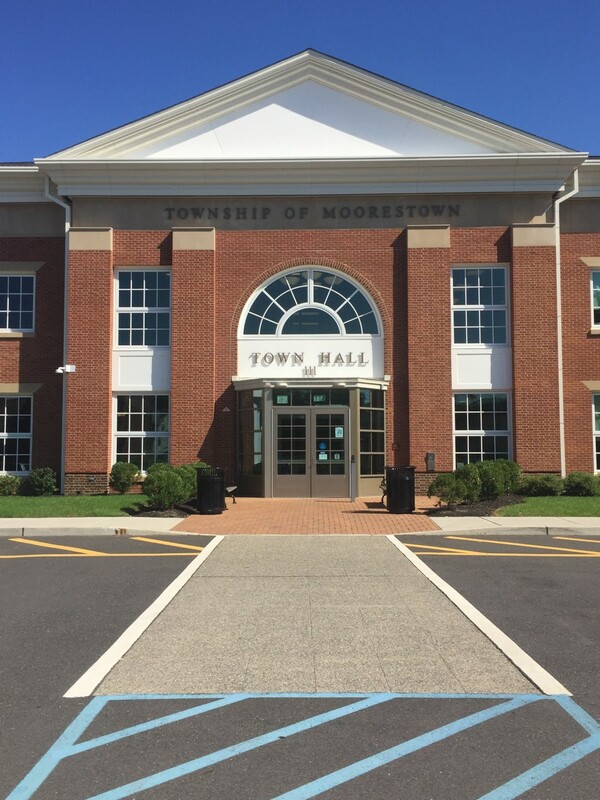 Incumbents Kathy Goldenberg and Sandra Alberti, as well as newcomer Maurice “Mick” Weeks, III won the three full-terms seats in the Moorestown Board of Education election, as they defeated challenger Christian Cramer. Goldenberg earned the highest number of votes at 5,006, earning her 29.06 percent of all votes. Alberti earned 4,629 votes, 26.88 percent, followed by Week with 4,221 votes, 24.51 percent, and Cramer at 3,330 votes,19.33 percent. Incumbent Dimitri Schneiberg also ran uncontested for one two-year term and won, gaining 99.67 percent of the vote. In the 3rd Congressional District of the House of Representatives, incumbent Republican Tom MacArthur defeated Democrat Frederick John LaVergne and Lawrence W. Berlinski, Jr. of the Constitution Party for the one open seat. MacArthur received 52.81 percent of the votes. Burlington County Board of Chosen Freeholders Republican incumbent Latham “Robert” Tiver received the most votes, 51.48 percent, over Democrat Reva Foster. The county sheriff will remain the same with Republican incumbent Jean Stanfield receiving 52.13 percent of the vote over Democratic challenger James H. Kostoplis. For county surrogate, Freeholder and Republican Mary Ann O’Brien received 51.64 percent of the vote with Democrat Sander Friedman, who received 48.34 percent of the vote. The first of two statewide referendum questions that asked if voters approved of amending the state constitution to permit casino gambling in North Jersey did not pass, with 78 percent of voters opposed. The second referendum question, which asked if voters approved of amending the state constitution to dedicate all revenue from the state motor fuels tax and petroleum products gross receipts tax to the Transportation Trust Fund passed by a slight margin, passed with 54 percent of voters approving. The unofficial results do not include mail-in or provisional ballots.